Home Android APP LINE 桌布 app LINE 桌面 app LINE Launcher APK 下載 LINE 手機桌面背景 APP： LINE Launcher APK / APP Download 2.0.95 [Android]，將手機桌布換成熊大、莎莉吧!! 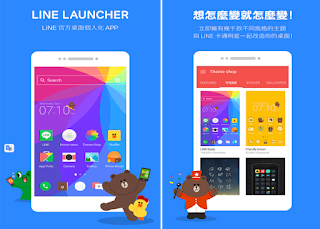 LINE 手機桌面背景 APP： LINE Launcher APK / APP Download 2.0.95 [Android]，將手機桌布換成熊大、莎莉吧! !